As some of you may have heard through the grapevine, Sportsmans Warehouse is closing down. The official announcement will come out today, but Carlo has called Mathieu to confirm the rumours. Their doors will close in July and they will honour our arrangement until then. The Shepparton Runners Club would like to thank Sportsmans Warehouse for their sponsorship with the club and with the Shepparton Running Festival. Yesterday several SRC members attended a defib training session at the Shepparton Runners Club rooms. The following people received defib training along with some basic first aid. Chris, Norah, Matt, Allan, Rosalie, Sebastian, Steven, Larry, Adrian, & Lee-anne. The following members have previously learnt how to use a defib Sue, Nadine, & Liz. 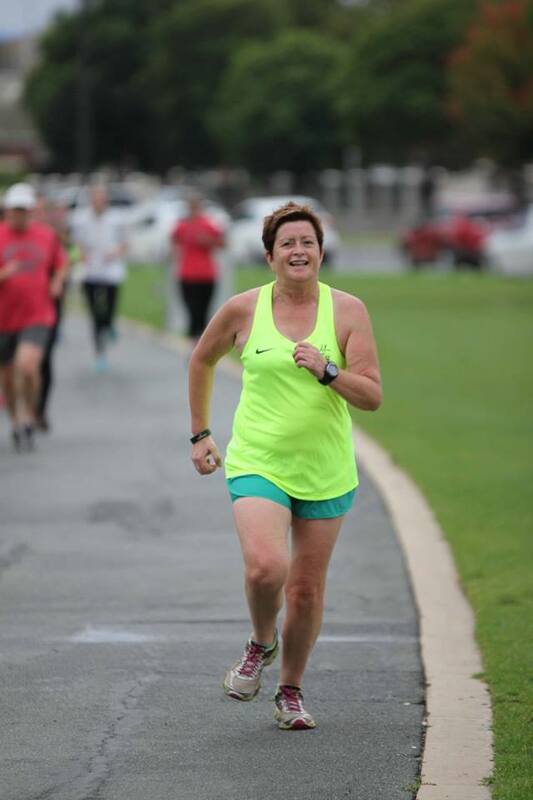 The Shepparton Runners Club has been successful in locking in Sept 16 for a Bunnings BBQ. This will be a fundraiser for the Shepparton Runners Club 40th celebrations in 2019. Thanks to Melanie for organising this. Chris will ask people to nominate themselves as being interested initially, from there he will nominate team captains. All the interested names would be placed into different groups. Happy to have anyone nominate, so not restricted to SRC members, the more the merrier. How are the teams picked? We want to have a social night in the lead up maybe a Thursday or Saturday? And could make it like a draft – Each captain pulls a name out of the say Female sub 25 minute parkrunners pool, and we announce the picks – Eg – “with the first pick in the SRC Teams Draft, the Sportsmans Warehouse Warriors select Kate Dainton” – we will name the teams after our sponsors and encourage team members to wear their sponsor colours on the day. We would have a range of events on the day eg – 100m, 200m, 400m, 800m, 1600m, a mixed relay, separate races for males and females and hopefully juniors. Basically the day is a mix of a school athletics carnival mixed with the nitro athletics event hosted in Melbourne last year. The initial feedback has been very positive and we look forward to keeping you updated in the lead up to the event. 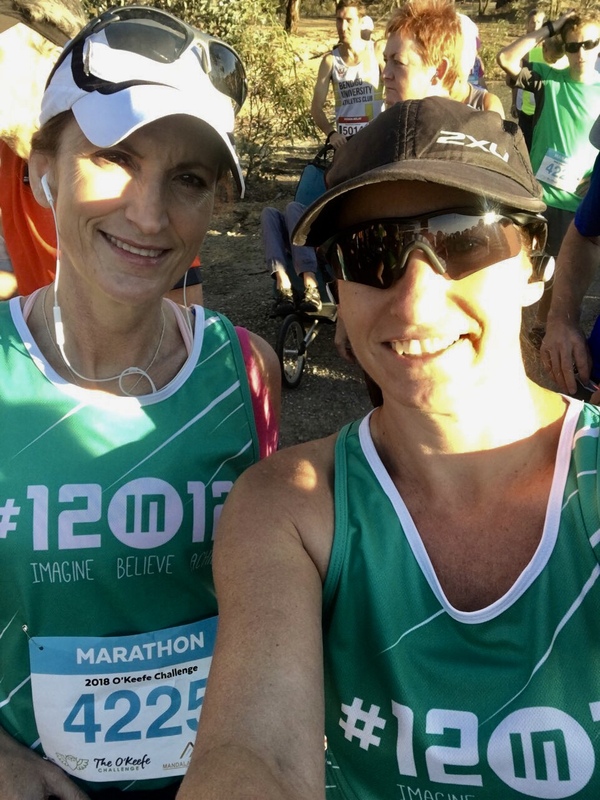 The 12 marathon ran by Kathy and Narelle this year will be held in December in Shepparton. Kathy & I have recovered well from the O’Keefe Challenge marathon on 22nd April, 2 weeks ago. We are currently in our “ peak training week” for our next marathon in Adelaide on the 27th May. “Peak week” certainly looks a little different if you were training for 1 marathon. What inspired you to start running? I was always involved in my school’s athletics team, but with an emphasis on triple jump, 800 m and cross country. I was a member of Ringwood AC, but my coach had a stroke when he was overseas and wasn’t able to return to coaching. I began to drift from the AC and only ran occasionally. My uncle used to compete in Ironman events. One Christmas he convinced a few of us to sign up to compete in the team Ironman event in Busselton WA . My dad did the swimming leg, my aunt the bike and I ran the marathon leg. I’ve been running ever since. Typical training week – I don’t have any regular training. I run at parkrun on Saturdays and may get a training run in during the week. It all depends on what the kids are doing! 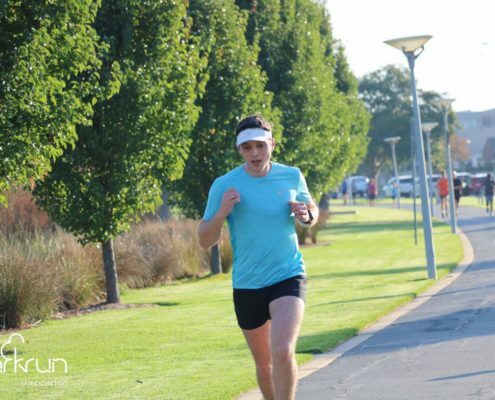 Goals – I’d love to get back to my times from 12 months ago and target a sub-17 5 km. I also want to complete a half in under 90 minutes. Most enjoyable run would – I love those cross country runs where you’re weaving along gravel paths and up and down hills. I love that feeling of exploring the unknown and being completely disconnected with the rest of the world while I’m running. Who inspires you to run – I’m amazed by Mo Farah. To have come from such a humble origin as a refugee fleeing Somalia, to becoming the most successful British distance runner of all time and a multiple Olympic gold medallist. Best advice would have been – Take it easy when returning to running after injuries. I always went to hard or too soon afterwards and never really let my body heal entirely. Sunday, November 4, Nagambie, 4 vines running festival. Once you’ve mastered the art of stir-frying – cooking enough so that vegetables aren’t raw, but not too much so that they lose their crunch – you can use the technique on lots and lots of different sorts of leafy greens, and experiment with your flavours. This recipe is a good start. If you don’t have all the leafy greens listed below, simply substitute with any Asian greens from your garden.